Tonight friends will be gathering at mine for a crafting session where the theme I chose was watercolour! Now given I am not an art teacher nor do I know how to watercolour in the way you might be thinking…. 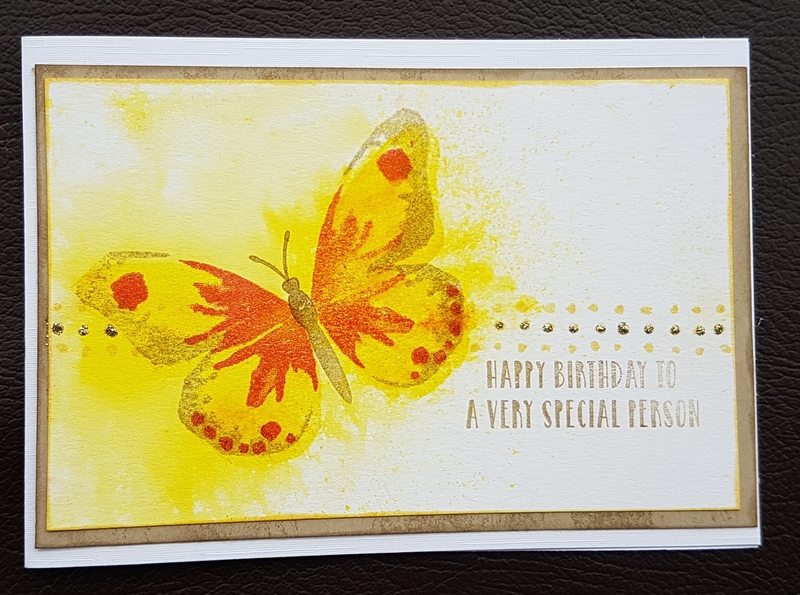 I instead chose to add colour in a watery way… or use stamps designed to give a water colour appearance. Watercolour wings with brushos and some embossing. Watercolour words with some inky circles using a gelli plate. 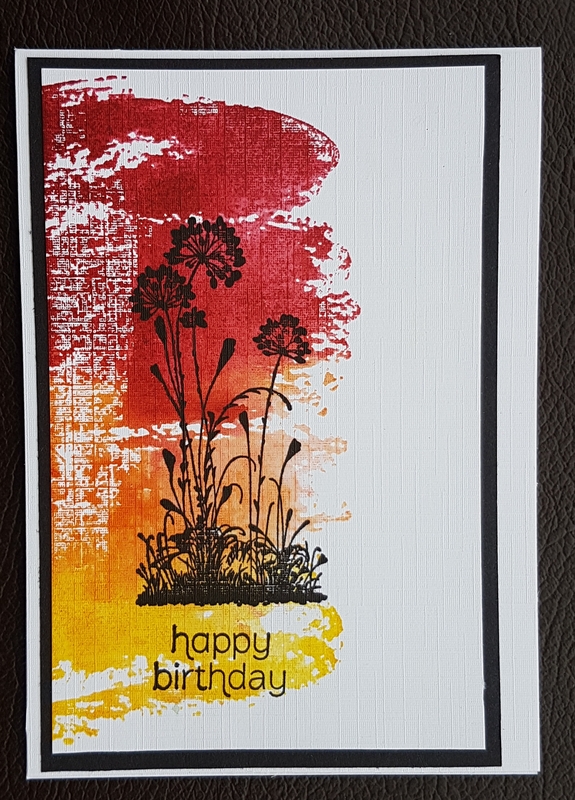 Watercolour wash background stamp with a silhouette. 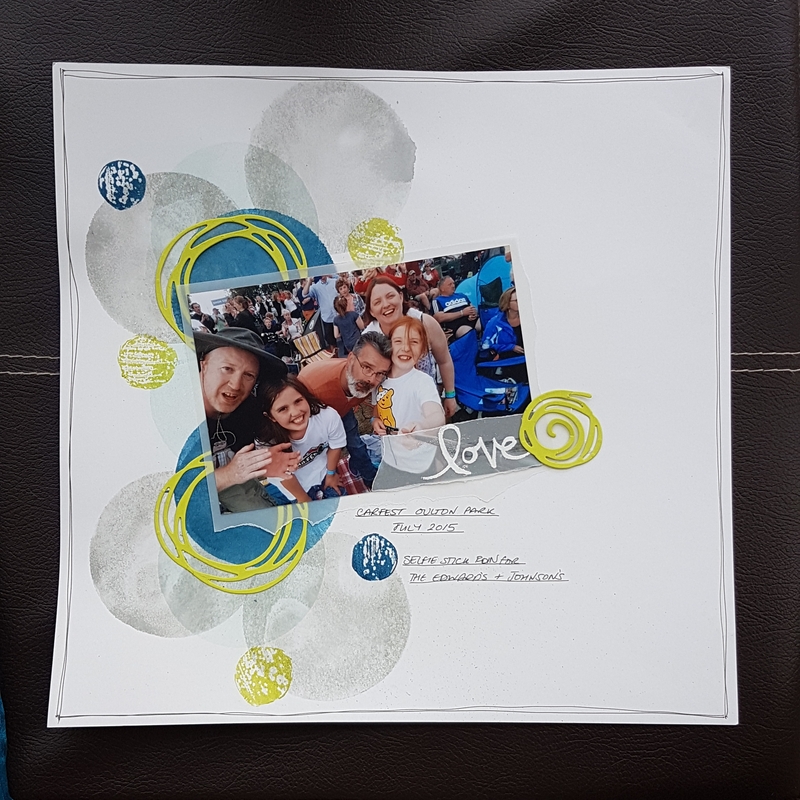 A scrapbook page just for a change. 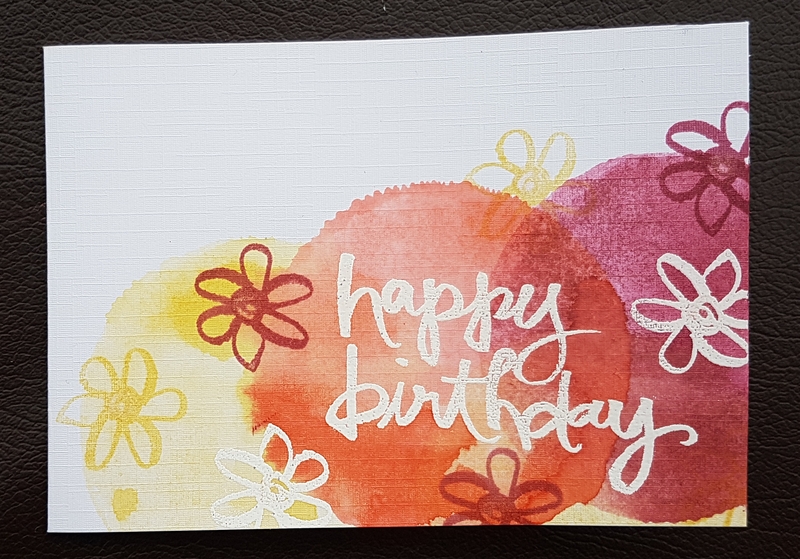 Using the gelli plate to add the inky large circles and the circles from Happy Celebrations set which I applied ink to using the Stampin Write markers to keep with the sketchy look. Hopefully we will get through these projects in no time at all… or at least get most of them done! Regardless I am sure we will have fun!